On Wednesday, NLB announced that non-strategic assets the bank wants to get rid of in the next five years will be tranferred to a separate division in the company. According to news agency STA, the net volume of these assets is estimated at € 2.2bn, not taking into consideration the provisions it amounts up to more than € 3bn. The target is to optimize the value of non-strategic assets before they are sold. The seperation of the NLB value assets into strategic and non-strategic assets is part of the restructuring plan which the Slovenian major bank has designed in order to follow the conditions of the EU Commission. Strategic assets, which are the basis for the development of a bank, are estimated at a net volume of € 6.5bn. Apart from problem credits and private equities, a few affiliates will be transferred to the intern bad bank. NLB collected shares of several enterprises, for instance by the retail chain Mercator or beverage enterprise Pivovarna Lasko, when the companies had not been able to amortize their loans. The bank now tries to sell these capital investments on the stock market. 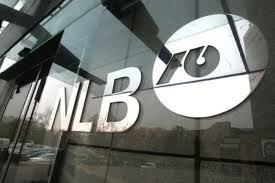 The major part of the establishing of a bad bank has already been completed, according to NLB. The intern measures are compatible with the restructuring plans by the government. The banking institute regards the bad bank, which is not in operation yet, as a change to relieve strain on the balance sheets.